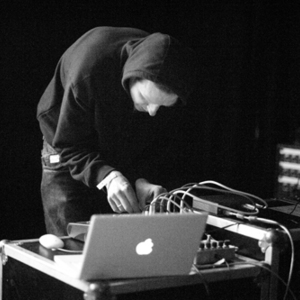 Before Justin Broadrick was in Napalm Death and way before his Jesu, Godflesh and Techno Animal projects, he had Final, this was the first music that he made and the first concerts he ever performed; initiated in 1982 at the tender age of 13, inspired by the true old industrial music of Whitehouse, Throbbing Gristle, Ramleh and Maurizio Bianchi etc, Justin used his step fathers primitive musical equipment to forge his own sound influenced by the aforementioned artists and attempt with like minded individuals and friends to establish his own sound and vision. Basic recordings were made and this led Justin to form a cassette label in early 1984 (Post Mortem Rekordings) releasing his own cassettes and eventually other artists too, this tape only label lasted from early 1984-86, releasing over 50 cassettes of confrontational hate noise / power electronics and Throbbing Gristle inspired electronic psychedelia. By the time Justin joined Napalm Death in 1985, he had already become interested in creating music outside of the 'industrial/noise' genre, even Final itself around this period briefly became a band using 'rock' instrumentation. Once Justin had become busier with Napalm Death and the pre Godflesh band Fall Of Because, he slowly moved away from what he was doing with Final and eventually shelved the project in late 1986. After the first 3 years of the existence of Godflesh, Justin became interested in wanting to resurrect Final, recognizing the open ended area Final worked in and yearning for more experimentation particularly within an area without the trappings of 'rock' music. Justin began recording new pieces, utilizing guitar, tapes, synths and samplers. The result was the first ever CD release by Final simply entitled One, this was released by Sentrax in Europe and Bill Laswells label Subharmonic in the U.S.A in 1993. One collected Justins first new work as Final in over 6 years, also included on One was a long piece that compiled small edits of some of Justins earlier work as Final from 1983-86. The influences on Final were now much wider than the earlier 'industrial' influences ; sombre and textural ambient sounds had a huge bearing upon the early 90's incarnation of Final, Justins exposure to Brian Eno as a youngster had made its impact. More releases followed - Final '2' on Sentrax once more, the full length CD - 'the first millionth of a second' (in collaboration with Godflesh's GC Green) which was released on U.S. experimental music giant Manifold, Jesu bassist Diarmuid Dalton also began to collaborate with Justin, both on Final '2' and on the 'Solaris' CD EP released on Alleysweeper/Invisible, later re-released as a full length with a 30 min extra track. After two 7" singles and numerous compilation appearances, Justin continued to record Final material but without a planned release schedule due to being so busy with other projects. In 2001 Neurot recordings (the label from Steve Von Till / Neurosis) approached Justin offering to release Final '3', Justin set about slowly recording and accumulating material from then until early 2005, some in collaboration again with Diarmuid Dalton. Bringing us to the present day, Final '3' is finished and due for release on Neurot Recs. In February 2006, its a double CD set compiling various recordings from 2001-2005. Since forming Jesu, Justin has become very active with Final inspired by his new works on '3',recording has already begun for forthcoming releases, and now Justin is preparing to perform as Final, his first performances as Final since 1985. Final collaborators from 1983 to the present day - Andrew Swan, Guy Pearce, Nicholas Bullen, Kevin Johnson, Paul Neville, GC Green, Diarmuid Dalton. 2) Final is a one-woman black metal band from Bristol, UK. Composed by Serna for the years they were properly active, they released 3 demos and an album on Self Harm records.